The World Health Organization estimates that the global cost of hurricane damage per season is rising by 6% a year. (That’s in real dollars, not nominal, by the way, so inflation doesn’t factor into it.) If storms are increasing in strength and frequency, why is more not being to mitigate the costs? Two words: incentives and avoidance. Economists believe that people respond to incentives. Make an activity less expensive, and more people will engage in it. Make an activity more expensive, and the level of activity will drop off. Why is that important here? It turns out that if policy makers make it relatively inexpensive to build your house in a floodzone, lo and behold, more people are going to build their houses in floodzones. Houses that are built in floodzones are, no big surprise, more prone to flooding. According to the Economist magazine’s recent article, Harris County, Houston’s home, has allowed 8,600 homes to go up in the 100-year floodplain. (The 100 year floodplain is not, despite its name, an area where a flood is expected to occur every 100 years. A 100 year floodplain is an area that has a 1 percent chance of being flooded in any given year. That means, over the life of a 30-year mortgage, the change of a such a flood occurring is just about 26 percent.) The more houses located in a floodplain, the greater the expected cost of such a flood. Simple math. Not only that, but by developing in the floodplain, much of that land was converted from prairie land to impermeable surfaces, like roads, driveways, and sidewalks. Coastal prairie land can absorb large amounts of rainfall. Concrete and asphalt cannot, leading to more flooding and more runoff, and more erosion of existing soil, as the velocity of the water is increased by those impermeable surfaces. The act of putting more development in vulnerable areas is a double whammy – you’re putting more homes in harm’s way, and you’re taking away the natural infrastructure that helps protect against flooding in the first place. I also mentioned “avoidance” as one of the reasons why hurricane costs have been increasing. It’s no surprise that most people tend to avoid thinking about negative information, and that applies to getting insurance. 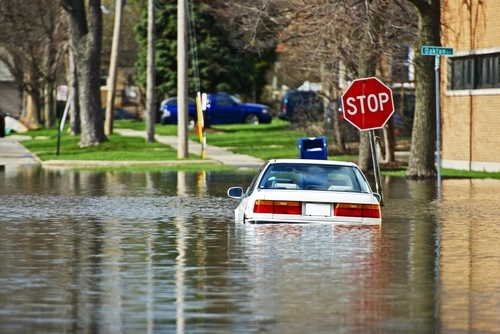 According to the Insurance Information Institute, only 12 percent of American homeowners had flood insurance in 2016. While most banks and mortgage companies require flood insurance if your home is in a high-risk area, federal law does not require coverage in a moderate to low risk area and almost 25% of all flood-related claims come from those areas. Why is that? Maybe they see it as too expensive, or they’re putting it off. Maybe they’ve simply made a bad bet. Or perhaps they expect the federal government to foot the bill. Even if the government does cover some of the damage (and the federal government did cover about 80% of Hurricane Katrina’s damages), that still means that taxpayers may be subsidizing an increasingly risky bet. It’s not only the insurance companies, the homeowners, or the federal government who shoulders the increasing costs of hurricanes and other natural disasters. Municipalities can see a blow to their tax base, a rise in the cost of borrowing, and even the possibility of litigation if it’s found that the municipality issued building permits or approving subdivisions that increase the potential of flooding. What can be done to stop these costs from continuing to increase? Well, for a starter, communities need to take a good long look at their land use regulations. We need to stop subsidizing bad risks. It should be more, not less, costly to build in flood plains. We need to stop subsidizing the conversion of wetlands and other buffer zones to development. We need to preserve our natural infrastructure. And, we need to implement more resiliency efforts. Municipalities should also make sure that businesses and homeowners fully understand the potential costs of not having flood insurance We need to make sure that the people involved in these kinds of decisions have a clear understanding of the full social and environmental costs of their actions. 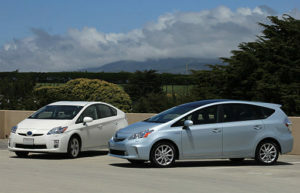 These moves make economic sense as well as environmental sense. rbouvier consulting’s mission is to promote a more transparent economy by making sure that social and environmental costs are included in economic decisions. Visit our website to find out more. On June 27, 2017, the Environmental Protection Agency proposed a rule that would change the definition of the Waters of the United States (WOTUS). On whose advice did they do this? Why, economists’, of course! Let me back up. In 2015, then-President Obama issued a document redefining which rivers, streams, lakes and marshes fell under the jurisdiction of the EPA and the Army Corps of Engineers. This rule has come to be known as the Waters of the United States rule. Non-policy wonks can be forgiven for wondering: 1. how a government can redefine what comprises that waters of the US, and 2. why the move would be so controversial. The 2015 rule (which was never actually implemented, as it was stayed by the U.S. Court of Appeals for the 6th Circuit) was called by then-speaker of the House of Representatives John Boehner as “a raw and tyrannical power grab that will crush jobs… and places landowners, small business, farmers, and manufacturers on a road to a regulatory and economic hell.” A pretty strong statement. What the 2015 rule would have done was to clarify (or extend, depending upon your point of view) exactly which waterways the EPA and the Corps can oversee under the Clean Water Act. Prior to 2015, the Clean Water Act covered only “navigable waters,” such as large lakes and rivers but did not necessarily include tributaries, wetlands, or smaller streams. The rule of 2015 expanded that definition to include protections for tributaries that may or may not run all year round, such as small streams and wetlands. But why did economists get involved? Every proposed rule by the Executive Office must undergo a benefit-cost analysis, demonstrating that the benefits of the proposed rule outweighs the costs. Bill Clinton first imposed this test in the 1990s, to protect against overbearing regulations. Leaving aside the merits and drawbacks of imposing such a test, let’s look at what that would involve in this instance. First, we would need to look determine which bodies of water would now be included under the 2015 definition. Second, we would need to examine the costs needed to comply with the rules for these newly regulated waters and the potential economic effects of imposing these costs (loss of profitability, job losses, etc). Next, we would need to investigate the benefits of including the new waters under the regulatory umbrella. And finally, we would have to compare the benefits and the costs – not as easy as it sounds, especially if the benefits and the costs occur at different times. As with many environmental regulatory cost-benefit analyses, the costs of imposing a new regulation are relatively easy to calculate. In this case, they include permitting costs, administrative costs, associated environmental compliance costs, and wetland and stream mitigation costs. They may also include project relocation costs, if a proposed development were to be located in one of these newly-regulated areas. These are measurable and concrete costs, and they are not insubstantial. The new definition could have potentially affected municipalities, ranchers, farmers, golf courses, and home owners, among others – anyone with a stream or a wetland on their property (of course, assuming that those waters aren’t already regulated by the state, as they are in Maine). Benefits are more difficult. What would have been the benefits of including tributaries, transitory stream, and wetlands under the federal regulatory umbrella? According to supporters of the 2015 rule, benefits would have included the increased health of larger bodies of water (and by extension, improved human health as well as ecosystem health). In order to protect a lake or a river, the argument goes, you can’t just regulate what goes into the mainstem of the river – you have to monitor what gets into the tributaries as well. But making that link from reduced pollution to improved aquatic health to ecosystem benefits is anything but straightforward. That’s what many environmental and resource economists spend their careers doing. Benefits could include the avoided costs of drinking water filtration, better flood control, avoided risks of cleanups from spills or other damage, and increased health of fish and shellfish populations. To estimate these benefits, economists at the EPA used “ecosystem services” (see my blog post here). 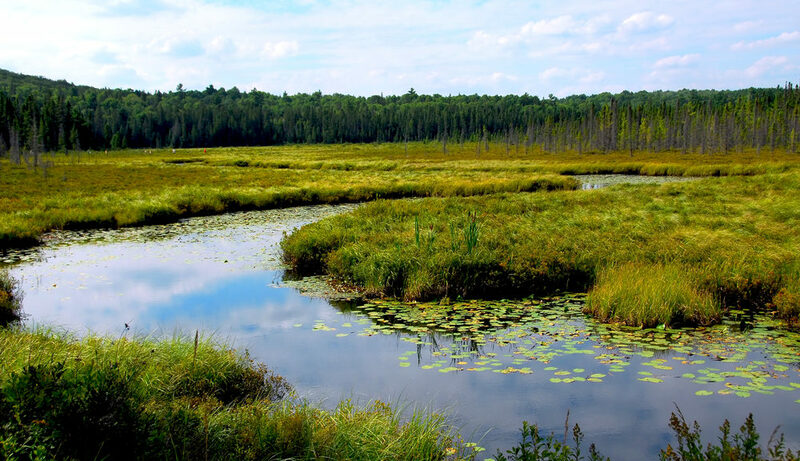 They identified peer-reviewed economic literature that estimated the value of protecting, preserving, replacing, and increasing the size of wetlands. Then, from that literature, they arrived at a per-acre value and multiplied that by the number of acres projected to come under the enlarged jurisdiction. Crude? No doubt. Developing a country-wide estimate on the value of protecting wetlands is not a pretty process. But at least it gives a number, an estimate of value. If we consider wetlands to be assets, then protecting more of those assets against harm should have some sort of value. The Obama EPA found that the benefits of expanding the definition of the waters of the United States exceeded the costs by a ratio of at least 1.3:1 (under the most conservative assumptions) to as much as 3:1. When the Trump Environmental Protection Agency proposed rescinding the 2015 rule (thus reverting to the “state of the world” before the 2015 rule), they needed to show that the benefits of rescinding the rule exceeded the costs. They couldn’t accept the Obama EPA’s numbers, because what was previously a benefit would now become a cost, and vice versa. So what did they do? They cast doubt upon the Obama EPA’s estimate of the benefits of protecting ecosystem services, in part by saying that some of the studies were too old and out-of-date, and in part by questioning the methodology. That’s fine – economists regularly squabble about methodology. Here’s the kicker, though. Rather than try to improve the methodology, or arrive at a “better” number somehow, they did not include the benefits of protecting ecosystem services at all. Because the number was “uncertain,” they literally wrote “uncertain” in the column for ecosystem services, and then proceeded to add up the numbers anyway. In other words, they assigned protecting wetlands and tributaries a value of 0. ZERO. Anyone looking at the “bottom line” and not bothering to read the entire document would not have caught the error. Estimating the benefits of environmental protection and conservation is not an easy job. And many environmental advocates feel a little queasy at the prospect of assigning a “value” to ecosystems. However, by not assigning a value to them we are allowing others to do so – and the value that they choose could be zero. If we’re serious about protecting our valuable ecosystems from increasing threats, then we need to demonstrate that environmental protection has an economic value – and that it’s not zero. Only once we can talk about regulations confidently in terms of benefits and costs, can we hope to adequately measure the impact of our (in)actions. What do you think? Do you have any experience with WOTUS – good or bad?